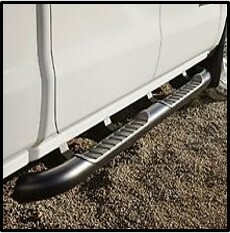 Every Ground Effects running board/side step is designed for a specific vehicle and model. All mounting points are specific to that model for exceptional fit. Factory finishes include traditional chrome, bushed and E/Powder Coat. Every Ground Effects running board carries a full OEM warranty.